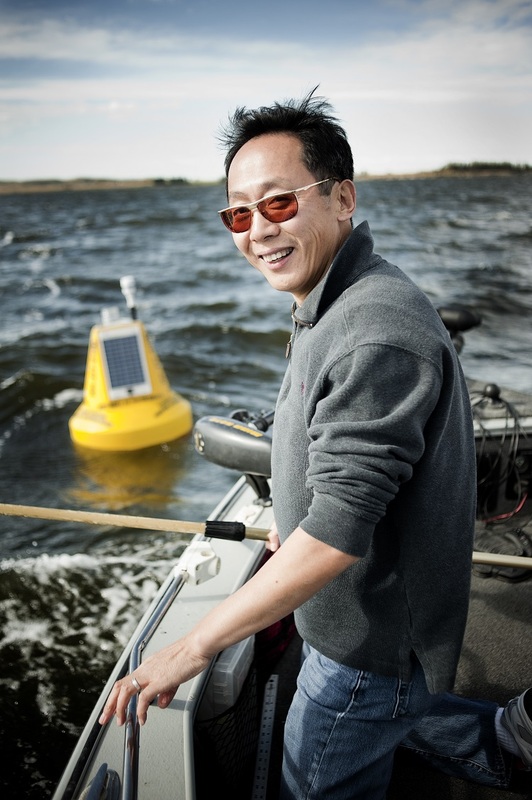 The 2017-2018 Faculty Lecture Series continues with “The Color of the Ocean,” presented by Xiaodong Zhang, Professor of Earth System Science & Policy, John D. Odegard School of Aerospace Sciences. The lecture will take place at 4:30 p.m. Wednesday, Nov. 29, in the North Dakota Museum of Art. A 4 p.m. social will precede the lecture. What determines the color of the ocean? The dissolved and suspended particles contained in the ocean interact with the light, modifying its propagation and color. These changes will, in turn, change the color of the ocean, or more specifically, the shade of blueness. By observing this apparent color or shade change of the ocean, particularly from different view angles, we can characterize these particles, because particles of different types and sizes interact with the light differently. Xiaodong Zhang is a professor at the Department of Earth System Science & Policy, School of Aerospace Sciences. He obtained a B.S. degree in Computer Science from Nanjing University, China, and a Ph.D. in Oceanography from Dalhousie University, Canada. Growing up in Qingdao, a coastal city in northern China, Dr. Zhang is passionate about studying the ocean. In particular, he is interested in studying the dynamics of microscopic particles, which form the base of the food chain. He finds that it is equally fascinating in studying lakes because no two lakes are the same. This lecture is free and open to the public. For more information about the Faculty Lecture Series, visit UND.edu/provost/faculty-lecture-series. Funding for the UND Faculty Lecture Series is provided by the Offices of the President and the Provost & Vice President for Academic Affairs. Special thanks to the North Dakota Museum of Art.